The story of a dangerously flawed #eHealth AI Chatbot. A THREAD about #HealthTech #Hype, #AI #Governance & #MedicalDevice #PatientSafety. This thread follows on from a prior thread ('Bad Bot' - part I) & picks up the Babylon story from the #BabylonAITest event which was held on the 27th June 2018. 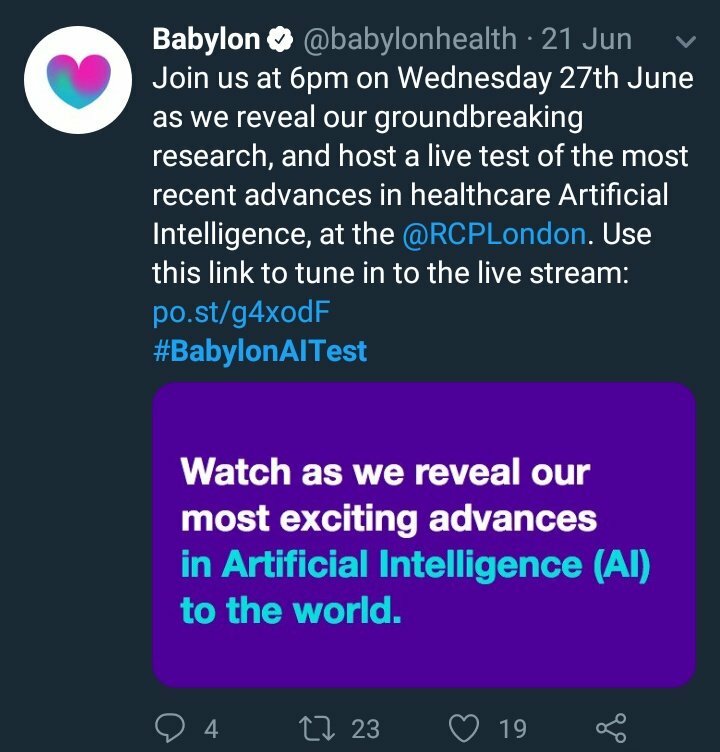 The #BabylonAITest event was held at @RCPLondon & promised to reveal to the world, Babylon's latest "ground breaking research" & "the most exciting advances in Artificial Intelligence".